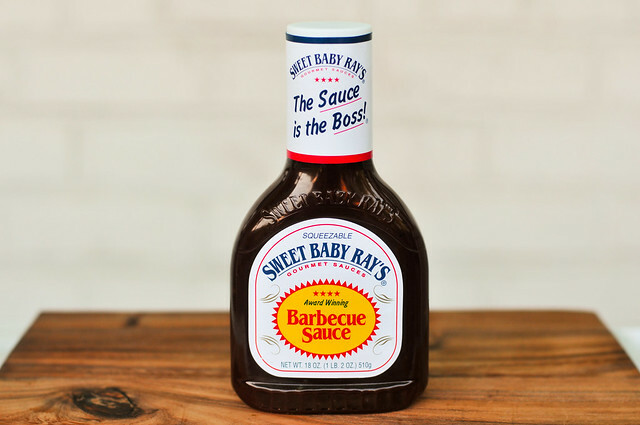 According to their website, the Sweet Baby Ray's story begins in 1985 when Chef Larry Raymond, a Chicago native, perfected his family's sauce recipe and entered it into the Mike Royko Ribfest, where it went on to win second place. The sauce was dubbed "Sweet Baby Ray's" after Larry's younger brother, David Raymond, and was spread throughout the Midwest via knocking on doors, mom-and-pop shops, and sidewalk grilling. 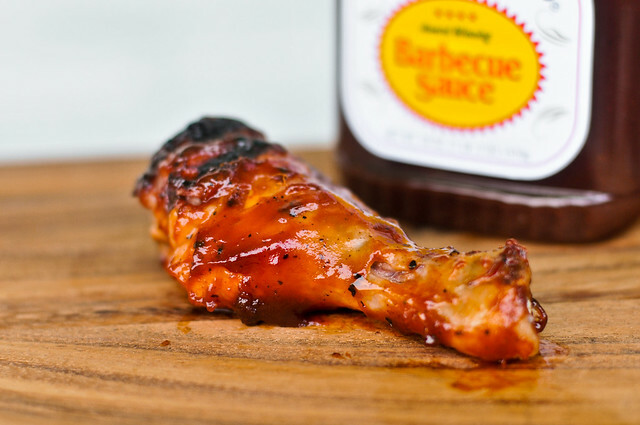 From 1996 to 1999, the sauce was brought national and has become the fastest growing barbecue sauce in groceries. Sweet Baby Ray's epitomizes the way I thought barbecue sauce should smell growing up. At one point I could only describe this as "barbecue sauce," but my more trained sense of smell now knows this is a sugary sweetness cut with vinegar and backed up with liquid smoke. All of these weigh pretty equally in the aroma department, coming together to form a sauce that at once smells strongly of barbecue while having no real indistinguishable uniqueness. Just a tad thicker than ketchup, this sauce weighs in pretty heavy on the thicker side of barbecue sauces. The texture is very smooth and a little artificial%u2013it feels a little slimy and coats the tongue, a product of the high fructose corn syrup. 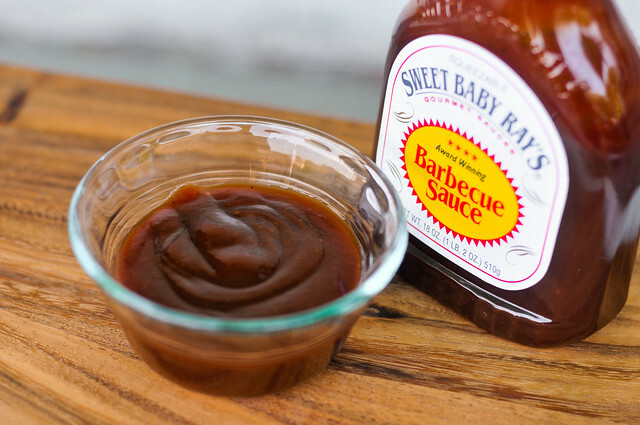 Similar to the aroma, Sweet Baby Ray's screams "barbecue sauce" at first taste. The same factors%u2013tomato sweetness, vinegar, and smoke—are at work, bringing out a feeling that this can clearly define what barbecue sauce is (in the world of supermarket varieties). Although the somewhat generic taste doesn't make this sauce overly exciting to me, the way the flavors hit is rather nice. First you get the sweetness, which quickly gives way to a vinegar tang with a sharp smokiness. Once those pass, a spiciness takes over that mellows out with another burst of sweet at the end. This sauce cooked up excellent, with just the right amount of charring. The flavor profile changed only slightly, bringing out more of the sweet and settling down the tang and spice. When all is said and done, the sauce had a very nice balance of flavors after taken to the grill, with sweet, spicy, tangy, and smoky all working together and nothing overpowering. 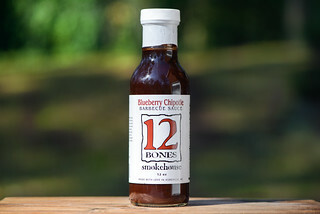 If you want something to have that ubiquitous "barbecue" flavor, then this sauce is for you. 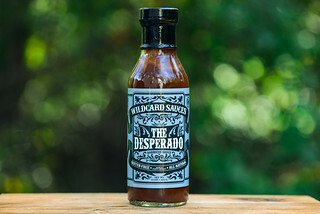 Although the unnatural feel and its complacent nature keeps it from being a top contender for myself, this sauce would serve the average home griller very well and could be used for just about anything, from chicken to ribs to beef. Although it had a slight edge in the cooked over uncooked state, the sauce performed well in both categories, so it'd be a fine finishing sauce on the grill as well as nice side dip. 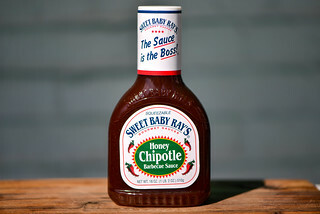 Sweet Baby Rays was our sauce of choice when we had to use store bought. But then our local store started carrying Blues Hog, which rocks even more. But SBR is a great sauce. @Chris Never heard of Blues Hog before, I'll have to give it a try! I absolutely love your review format! It really helps, thanks. I stumbled on your blog and as an avid carnivore I appreciate it very much, thank you. My wife and I have named this our favorite for BBQ chicken pizza. Probably the best commercial sauce on the market. A good sauce for the crowds and kids. For me - there are so many that are better. This was my favorite commercial sauce until I tried Garland Jack's Secret Six Brown Sugar. The other Garland flavors are average, but the real brown sugar version makes all the difference. I can't stand this sauce anymore since they changed the ratios and ingredients. Once they added HFCS it tanked. I was a lover of this sauce when they had all the original ingredients. It's yuck to me now. After getting bored with the same Aussie barbeque sauces i decided tontry Sweet Baby Ray's and I'm glad i did cause i absolutely love it. Sweet Baby Ray%u2019s first ingredient is highl fructose corn syrup, it%u2019s junk sauce. Cattlemen%u2019s is my go to sauce, no hfcs.